AREVA Med has launched operations at its second high-purity lead-212 (²¹²Pb) production facility located in Plano, Texas. Known as the DDPU (Domestic Distribution and Purification Unit), this facility was officially opened today in the presence of local elected officials, AREVA Med Scientific Advisory Committee, as well as AREVA Group and AREVA Med executives and teams from both the U.S. and France. 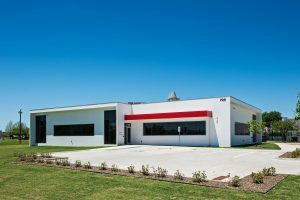 In a centralized modular plant, the DDPU will hold all AREVA Med’s U.S. activities and those of its subsidiary Macrocyclics, the global leader in the design and manufacture of chelating agents for nuclear medicine. 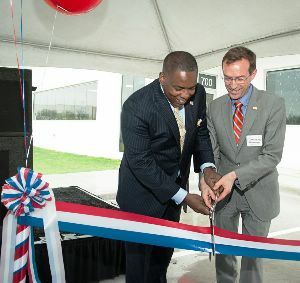 With brand new equipment, this state-of-the-art facility is a unique opportunity for AREVA Med to expand the range and increase the quality of products and services for its American partners and customers. Thanks to this increased production capacity, AREVA Med will accelerate the development of innovative targeted alpha therapies using lead-212 to combat cancer.